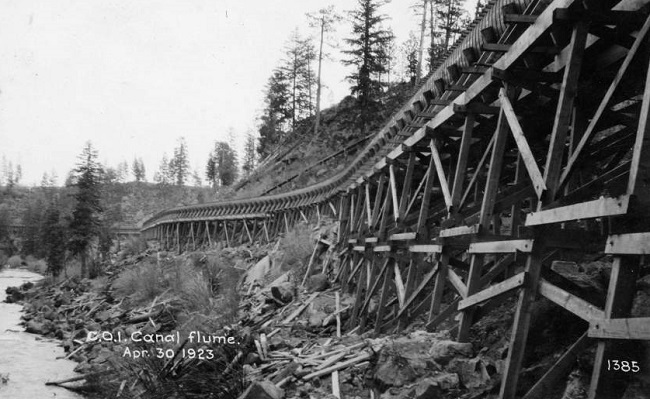 BEND, OR -- A section of Central Oregon Irrigation District's (COID) main canal, bordered by Ward and Gosney Roads on the East side of Bend, is once again up for consideration to become an historic landmark. Associate planner Zechariah Heck says it's been a long road, "It is actually the third time the Historic Landmarks Commission will be reviewing this nomination." The first time the nomination was considered, the Deschutes County Landmarks Commission turned it down. The second time, it was rejected by the state, largely based on comments opposing the request from County Commissioners. Heck says, this time, coordination between all the parties created a win-win scenario, "I think the biggest highlight of this nomination is that it's been revised multiple times." He tells KBND News, "Both sides have come together, worked things out, and proposed a revised nomination that reflects that." Heck believes the applicants did their due diligence, "In the past, this has been a highly controversial project. This time around, Central Oregon Irrigation District is in support of the nomination." And, he says, they coordinated with a professional historic preservationist "to prepare a nomination for listing this segment as an historic district." The next stop for the application is the State Advisory Committee on Historic Preservation, which tabled the nomination last May. They meet later this month. If it receives state approval, the nomination would go to the National Park Service who oversees the National Register of Historic Places.